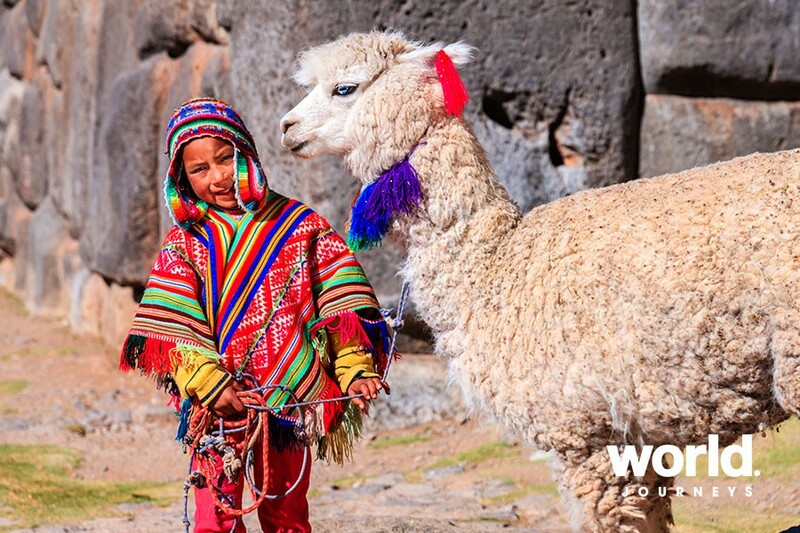 Travel from Cuzco to Puno and Lake Titicaca through the heartland of the Inca Empire. Begin by touring Lima, for so long the most important city in the Americas during Spanish times. Continue to Cuzco visiting ruins, temples and the Sacred Valley of the Incas before reaching the iconic Lost City of Machu Picchu. Then to Puno, visiting the floating reed islands before crossing beautiful Lake Titicaca, believed to be the birthplace of the Incas, to La Paz. Day: 1 Lima You will be met and transferred to your hotel located in the stylish suburb of Miraflores. Day 2: Lima The morning city tour of colonial and modern Lima includes a visit to the impressive pre-Inca adobe pyramid of Huaca Huallamarca. You will also explore the historic heart of the city where the Presidential Palace and impressive colonial buildings surround the main square. Visit the wonderful Santo Domingo Convent which dates back almost to the time of the conquistadors, where you have the opportunity to explore the catacombs. The rest of the day is at leisure and we recommend you visit the excellent Larco Herrera Museum, which will provide you with an excellent insight into the Inca world you are about to visit. 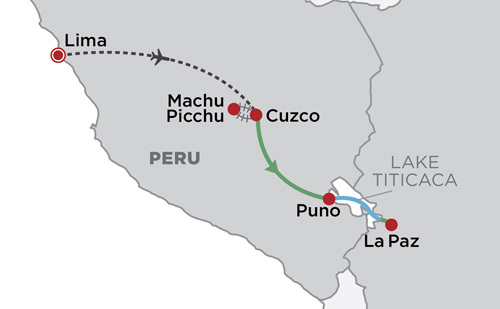 Day 3: Lima > Cuzco Fly to Cuzco and transfer to your hotel situated in the old city not far from the main square. 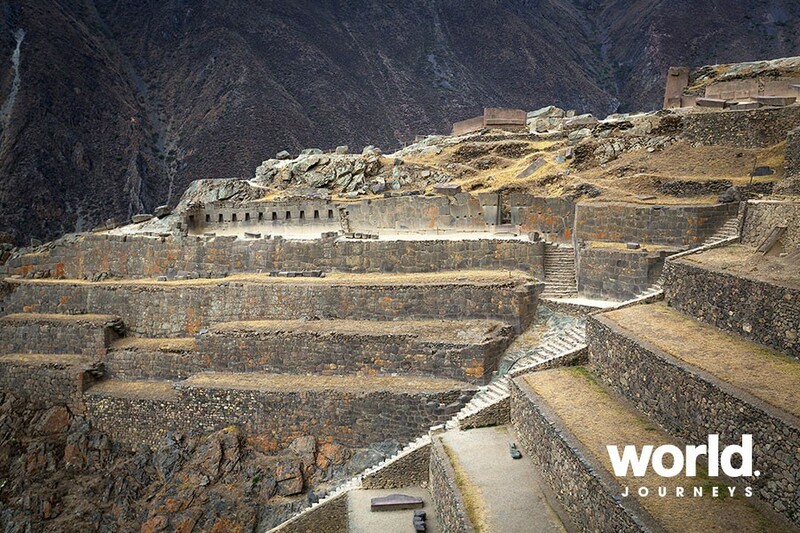 During Inca times Cuzco was the 'capital of the world' and the walls and foundations for many of the buildings are still of original Inca construction. We suggest you take things a little easy this afternoon adjusting to the altitude. Perhaps stroll to the beautiful Plaza de Armas and soak up the atmosphere of this wonderful city. Day 4: Cuzco Enjoy a Cuzco sightseeing tour that includes the most exquisite examples of Inca stonework found at Koricancha, in Inca times the Temple of the Sun. Cuzco's Cathedral, full of priceless art treasures and beautiful altars of silver and precious stones, is one of the most important churches in all Latin America. 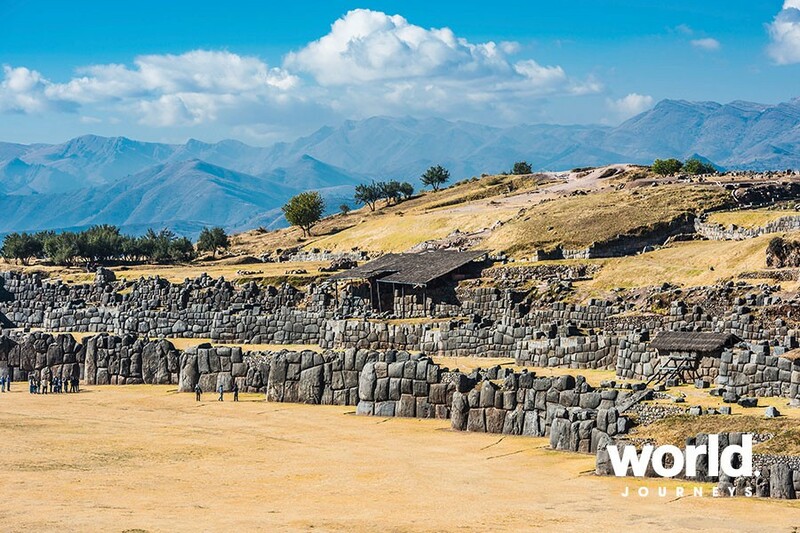 Continue to the impressive Inca fortress of Sacsayhuaman situated on a hill overlooking the city. Here you can see enormous cut and shaped stones weighing up to 130 tons that fit together so neatly you cannot get a knife blade between them. Admire great views over Cuzco and learn about Inti Raymi, the ancient Inca Festival of the Sun that is held here every winter solstice. Day 5: Cuzco > Sacred Valley Leaving Cuzco, you make a stop at the famous weavers town of Chincheros where a dozen families keep alive the traditional weaving techniques of the Inca. Learn about their designs and how colours are created while admiring examples of their work. Then descend into the Sacred Valley of the Incas with a superb photographic stop on the way. After lunch you will visit the amazing Ollantaytambo fortress, scene of one of the last great battles between the Spanish Conquistadors and the Inca armies. Overnight in your Sacred Valley hotel. Day 6: Sacred Valley > Machu Picchu Take a scenic 90-minute train journey this morning to Machu Picchu and on arrival travel by bus with your guide to the ruins. Enjoy a superb buffet lunch at the Machu Picchu Sanctuary Lodge, located right at the entrance to the ruins, then take a guided tour of the ruins. 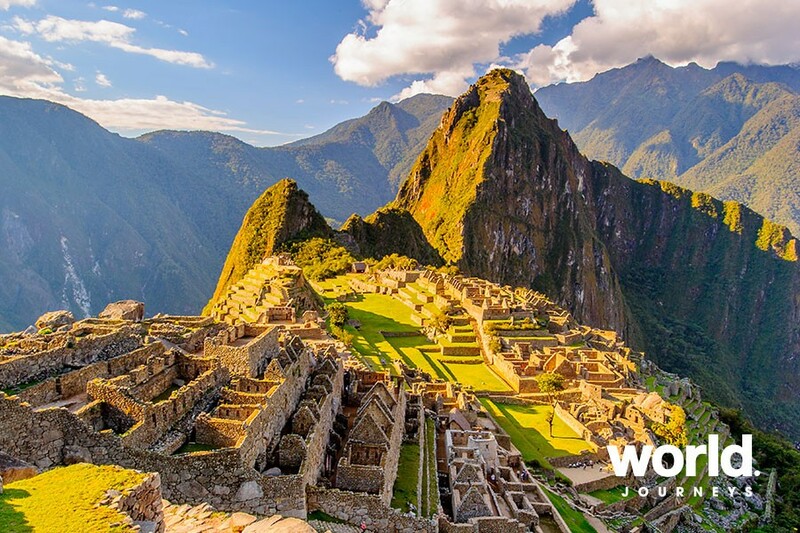 Undiscovered until 1911, Machu Picchu more than justifies its title as one of the 'New Seven Wonders of the World'. Learn about the history, architecture and lifestyle of the inhabitants as your guide takes you on a full circuit of the site. 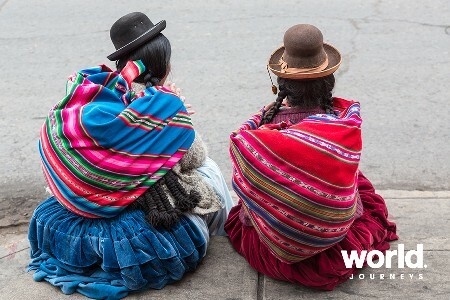 There will be some free time afterwards for photographs or quiet contemplation before retruning to the nearby town of Aguas Calientes and stay overnight. Day 7: Machu Picchu > Cuzco There is time to revisit the ruins this morning (at additional cost) or wander the markets of Aguas Calientes. 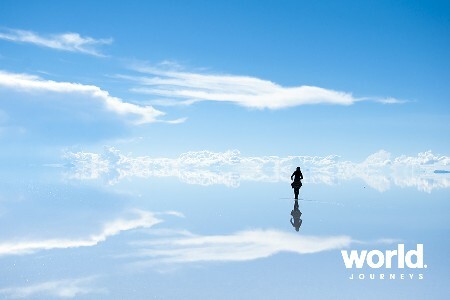 Later return by train and bus to Cuzco. Day 8: Cuzco > Puno Enjoy a full day scenic coach journey from Cuzco to Puno with a number of interesting stops included along the way. You will visit the town of Andahuaylas with its beautiful church, and later stop at the Inca site of Raqch'i, famous for a small market and impressively high Inca adobe walls and mysterious-looking store houses. 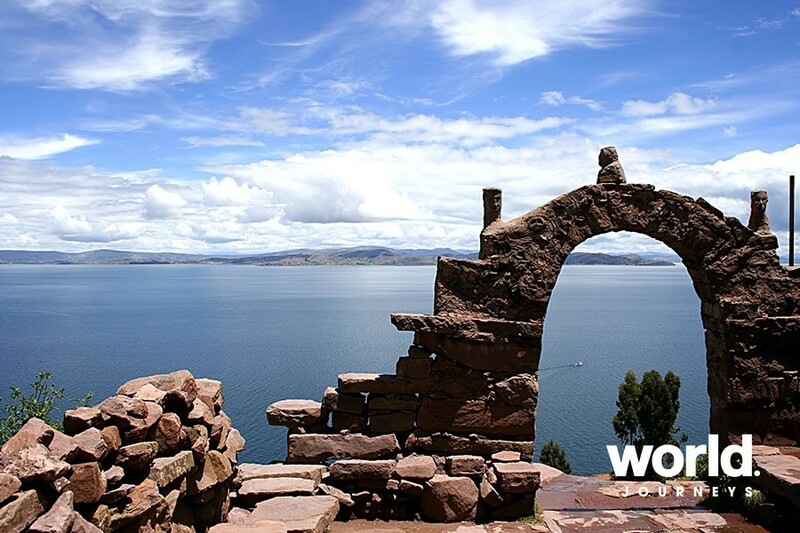 The scenery changes throughout the day and late afternoon arrive into Puno, situated on the shores of Lake Titicaca. Day 9: Puno Visit the floating Uros Islands on Lake Titicaca this morning and learn about the life of the people living there. Day 10: Puno > Lake Titicaca Travel by coach some 3 hours from Puno, crossing the border into Bolivia to explore the town of Copacabana before boarding a catamaran bound for the Island of the Sun in the middle of Lake Titicaca. 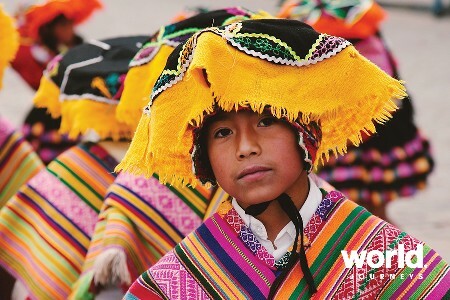 Here you visit the very interesting Inti Wata Cultural Complex to learn more about the crops and lifestyle of the Incas, see a small museum and learn how the traditional totora reed boats were made. Overnight on board the catamaran in your cabin with private facilities. 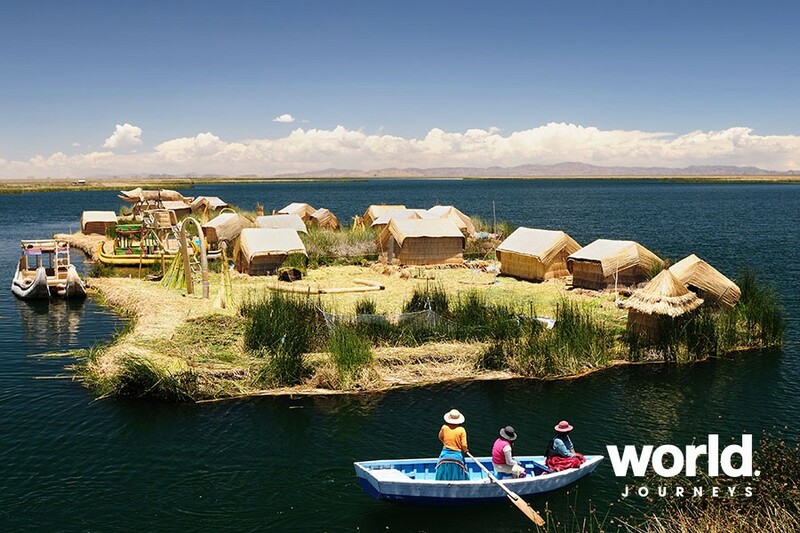 Day 11: Lake Titicaca > La Paz Continue the lake crossing by catamaran, and if the weather is fine, admire stunning views of the impressive 'Royal Chain of the Andes' with many peaks soaring above 6,000 metres. Arrive La Paz in the early evening. 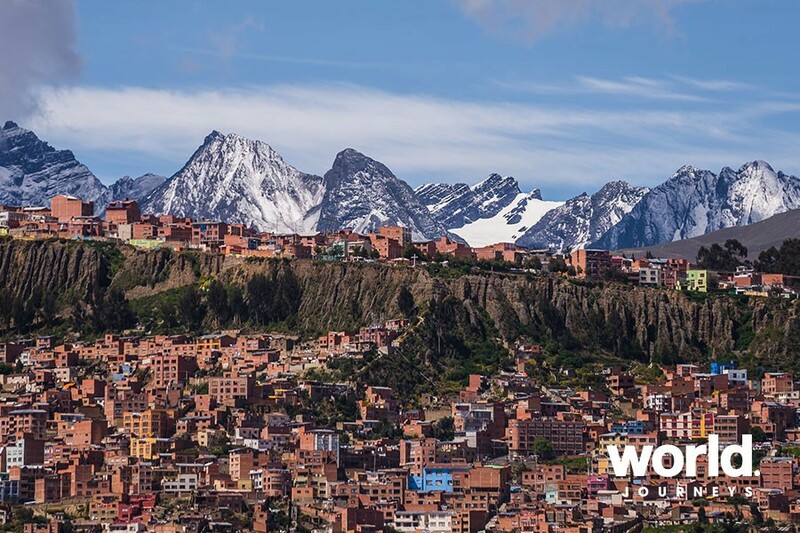 Day 12: La Paz Enjoy a tour of this extraordinary city, visiting the Witches Market to see traditional medicines being sold by bowler-hatted Indian ladies. 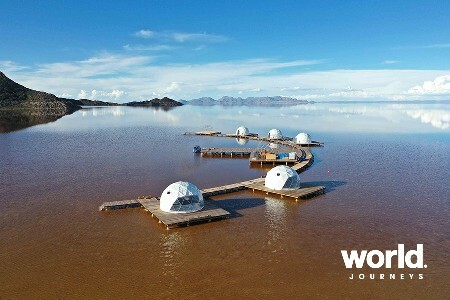 Take a ride on a gondola to enjoy a panoramic view of the city from above and see the amazing lunar landscape in the Valley of the Moon. Day 13: La Paz Transfer to the airport. The above prices may not apply during Easter, Inti Raymi or other Peruvian national holidays. 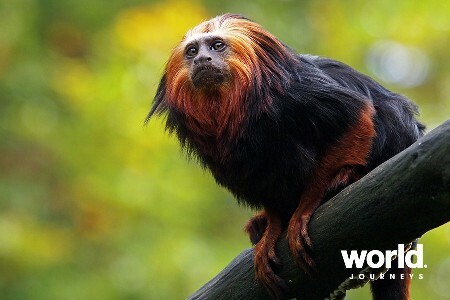 Contact World Journeys for details.